Every woman is always a princess for her father. We get all respect, love in other relations, but no other relation can give us the feeling of princess….. 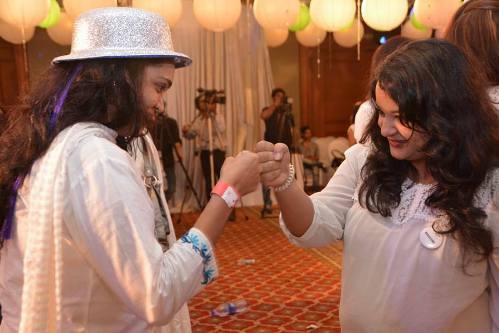 But I was wrong…Dove and Indiblogger has given us a royal treatment which is just unforgettable. I am here with lot of memories of this grand Only ladies meet. This was my second meet at JW MARRIOTT, MUMBAI. I was so excited. 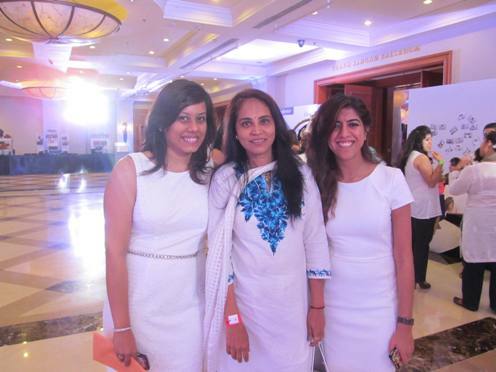 Our dress code was “Any thing but White” I was confused with what to wear – white top with jeans or traditional salwar kurti. I was not satisfied with my white kurti, so purchased a new one. However finally I wore the white salwar with blue embroidery. 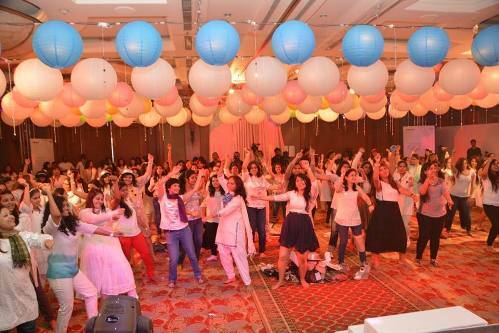 When I entered the venue, all blogger girls and ladies were looking stunning with white outfits! I joined my friend Vasudha, Vinita and Anu. After registration we have given band, badge and map showing where we have to go to attend various activities. My band was of green color and my team code was four. Before the program start, we were offered high tea. 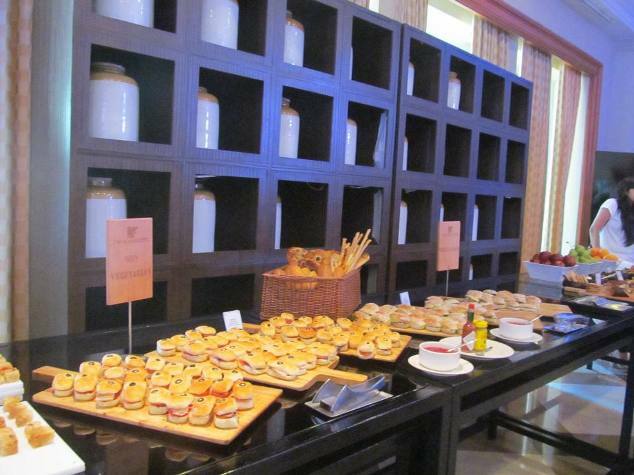 I could stop myself by taking a snap of delicious cupcakes, mouthwatering pastries. However, I preferred to taste the yummy pani puri. When the program started, Anup was too good as usual. He handed over the charge to Dove host. And the fun started. We formed our groups quickly, mine was group number four and it is indicated on our bands given to us. Since we were ten in one team, we formed 2 circles of 5 each. I was in outer circle. We performed various moves by moving clockwise and anticlockwise with the music played. Each time we will be standing in front of new group member and we started off getting to know each other. What I loved most was the Zumba! Since I recently joined Aerobics, I was enjoying each and every move from bottom of my heart. Then we headed towards the Puzzle Mania. We were in Ballroom to play with the ball, where 3 team mates picked the dove balls and two team mates have to catch it from the given distance. We did excellent job by catching 285 dove balls in ten minutes, but missed the prize! Then second activity was of solving the jigsaw puzzle. We enjoyed our third challenge of hair styling. 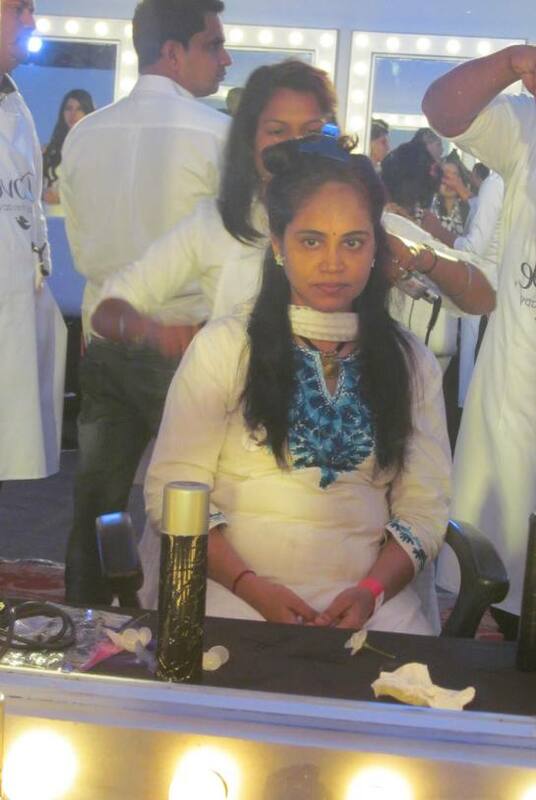 We have to experiment with our partner’s hair, Dove helped to take care of all kind of hair, curly, wavy, straight…. And then we entered the Dove Salon which was the most awaiting moment for us. Dove hair experts were just there, to do any hairstyle we ask. My hairs are wavy, so I decided to straighten my hair. And it was awesome…..I immediately changed my fb and whatsapp dp with my new look. You will not believe it, but I received lot comments saying it is too good. Everyone is asking the reason of my makeover. 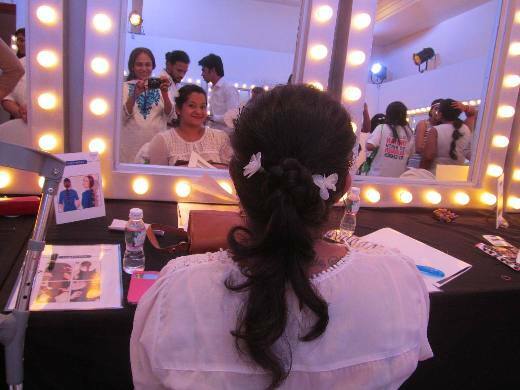 I have no words to thank Dove and Indiblogger for giving me a celebrity look. Dove also handed over a mind blowing Goodies including Philips hair straightener, Dove Intense Repair Shampoo and Conditioner. I loved the cutest Dove hair pin. We had dinner after the bartender activity at pool side. By the time dance floor was set for us. But now, I was worried about how I will reach home. But to my surprise, Indiblogger had arranged a cab for us who were staying far away from the location. I am so thankful to Dove and Indiblogger that they have taken so much care of us. We were dropped at door steps very carefully. I have never ever felt so secured when I attend any late events. I was feeling like a princess. Today I landed on one wonderful #DovePlay video. I watched it once and loved the music. I played it for second time and song reminded me of my college days. I watched the video again and again. Those hair rollers, wet hairs, swinging hairs…. It is a perfect video of journey of my hair softness. During my college days, I always dreamed that my hair would bounce like they show in TV ads. And to get fine curve, I tried so many things in those days. Hair roller was one of the things I tried and I still have those black rollers. As I used those rollers, I found that I am facing the new problem of hair fall as well as hair break. Then I consulted dermatologist, and she suggested me to stop using hair rollers. She also suggested me to use the product which suits my scalp skin best. Do you remember my story of Yo Yo braids with Dove, when I started using Dove hair mask According to me , if Dove hair mask works fantastic for my hair , then Dove Hair Fall Rescue Treatment should also be good for my hair. Even she was of the same opinion. That is how I landed on whole line up of Dove hair care. I used it only twice in first week. However, in next week I used it every two days. And the result was fantastic. Now I do not have hair fall problem. However, my old dream of swinging hair is still incomplete. I really wish someone should capture this smoothes and wavy look of my hair. I just love it. Nowadays it’s the era of selfies, but selfies will not capture the motion of those lovely swings. Aaa Jao sare mood banake..